CIMT College, Malton Campus, has just completed a weekend workshop on Phlebotomy, which was greatly enjoyed by all attendees. This is a great skill for those in healthcare to have, especially students in nursing, or pre-med, or those taking our diploma in Personal Support Worker. It is a favourite certificate course for many attendees, which is why we offer the course at all of our Ontario Campuses in Scarborough, Malton, Brampton, and Mississauga. During the 10 hours of training, students learn about Anatomy and Physiology, and Medical Terminology for Phlebotomy. They also learn about patient interaction and related legal, ethical and safety issues, as well as proper patient identification and lab requisition forms. 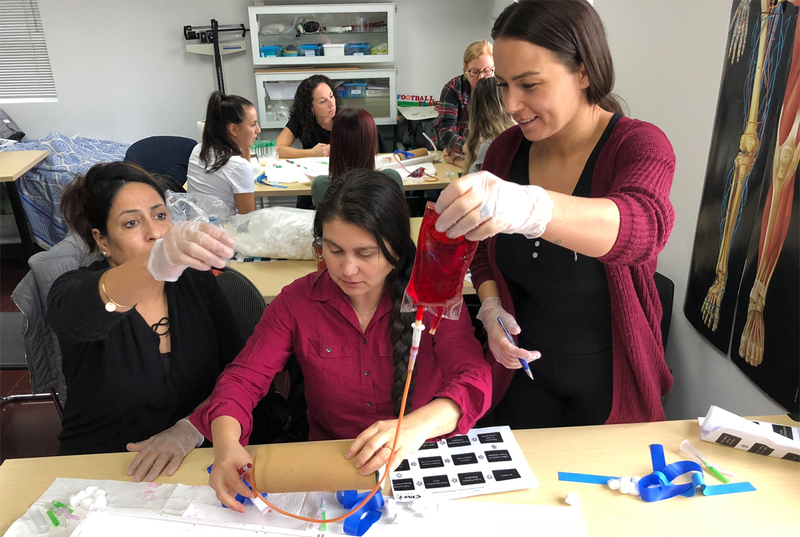 During the hands-on training, students use the venipuncture equipment and vacuumized blood collection systems, and learn about safety and universal precautions in handling the samples. Everyone’s favorite part is the hands-on practical training with blood and specimen collection. Students also learn the administrative steps of phlebotomy and proper managing of the collected samples. For more information about this training, or for a schedule of upcoming workshops, click this link Phleobtomy Workshop from our webpage, or call 905-671-9999.